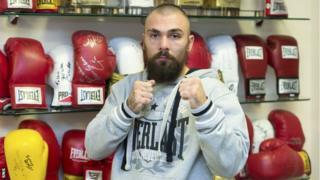 The family of tragic boxer Mike Towell has made an official complaint about the medical treatment he received for headaches prior to his death. His partner Chloe Ross claimed he begged doctors for a brain scan but was instead given painkillers for suspected migraines. The Dundee boxer suffered a brain bleed during a televised fight on 29 September and died a day later. NHS Tayside confirmed that it had received a complaint from the family. 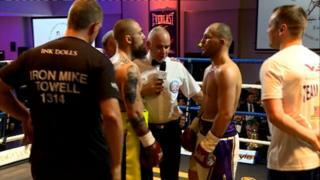 Mike Towell was knocked down twice during the welterweight title eliminator against Welsh boxer Dale Evans at the Radisson Blu hotel in Glasgow. He was given oxygen after the fight was stopped in the fifth round but died in hospital the following evening. In her first interview since the tragedy, Ms Ross revealed that Towell had attended Ninewells Hospital A&E unit in Dundee after suffering severe headaches during a sparring session 18 days prior to the fight. She said Towell, who was known as Iron Mike, was rolling on the floor in pain in a waiting room but was later advised he was probably suffering a migraine. Ms Ross said he was instead given co-codamol and told to see his GP. She claimed he visited a GP the following day and was given aspirin. He did not spar again before the fight in Glasgow. In the interview she also revealed that Towell was dehydrated during the bout, having been in a sauna, jogging in a sweat suit, in order to lose weight ahead of the official weigh-in. Since Towell’s death, some commentators have suggested dehydration to lose weight is a dangerous practice in boxing as it can make the brain more vulnerable to injury.